Manipal Public School with excellent infrastructure, sprawling playgrounds, dedicated staff members provides a positive and challenging environment for children to develop their natural talents. Children are encouraged to be creative, independent, inquisitive, and explorative. The school works towards total personality development of its students by combining the finer elements of Indian culture and the inherent natural talents of the students. Students are groomed to become exemplary citizens of tomorrow’s Superpower – India. 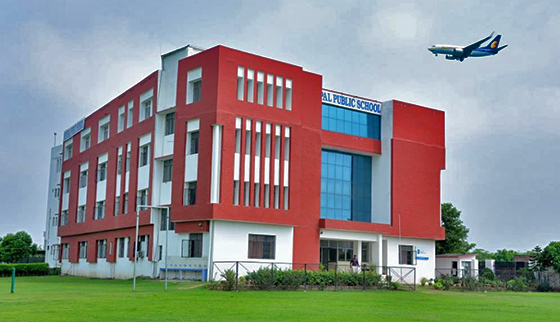 The school is affiliated to CBSE, New Delhi and believes in having innovative teaching methodology a confluence of elements like interactive classrooms learning. Computer aided techniques, learning with nature, audio visual presentation, practical experiments, creative writing, extensive reading, nurturing of artistic creativity and physical development through Yoga and sports. It provides for not mere schooling but real education. The Manipal Public School (MPS) provides a positive and challenging environment for children to develop their natural talents. Children are encouraged to be creative, independent, inquisitive and explorative. Human values like honesty, kindness, dedication and respect towards elders/teachers are inculcated. The School works towards total personality development of its students by combining the finer elements of Indian culture and the inherent natural talents of the students. Students are groomed to become exemplary citizens of tomorrow’s Superpower- India. Manipal Public School with excellent infrastructure, sprawling playgrounds, dedicated staff members provides a positive and challenging environment for children to develop their natural talents. Children are encouraged to be creative, independent, inquisitive, and explorative..